The new building will allow artist to bring large works inside, hang art from the ceiling, and support great weight. Plans to create an indoor space for the primarily outdoor public park began over a decade ago. The new building was begun after Knode’s arrival and the organization broke ties with the initial architects and their design. Changes were necessary to accommodate economic shifts in the wake of the 2008 financial collapse. The building took $4 million to complete. According to Knode the design maintains the organization’s mission to privilege site-specific work, while keeping one eye on the past and one on the future. “We’ve been doing a lot of thinking here about what does landscape mean to people in St. Louis and then how do we reflect that,” she said. To that end the building is designed to sit perfectly within the Laumeier campus and faces the old exhibit space recently re-christened The Education Laboratory for Art. The open design and construction will allow the park to exhibit work restricted by the earlier space. “It was kind of like programing in your grandmother’s house, you can only do things so big or so heavy, you don’t want to collapse the floors of 1917 grandmother’s house,” Knode said. The new building is effective because it builds on the mistakes learned during the project’s initial stages, she said. The park will celebrate the building’s construction with a gala. 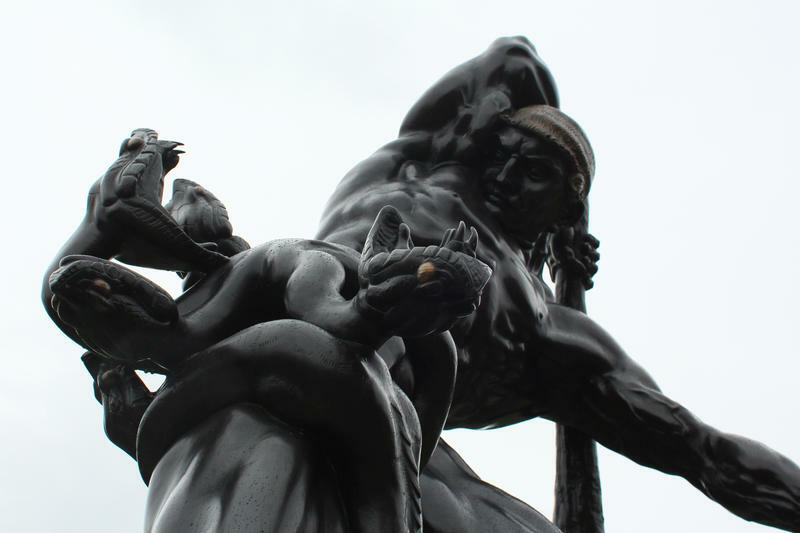 It will be open to the public in October, 2015. 2004 – Laumeier prepares a master plan based on focus group responses suggesting the public wants: a new structure for world class exhibitions, and expanded space for educational programing. 2006 – The park puts out a call for architects and retains Brooks + Scarpa (formerly Pugh +Scarpa) from Santa Monica, CA. 2008 – Economic collapse and previous Laumeier Executive Director leaves. Project is placed on hold. 2009-10 – Brooks + Scarpa and previous plans including radiant heat floor and green roof are abandoned. Local architect Trivers Associates is retained. 2013 – Construction begins on new design. 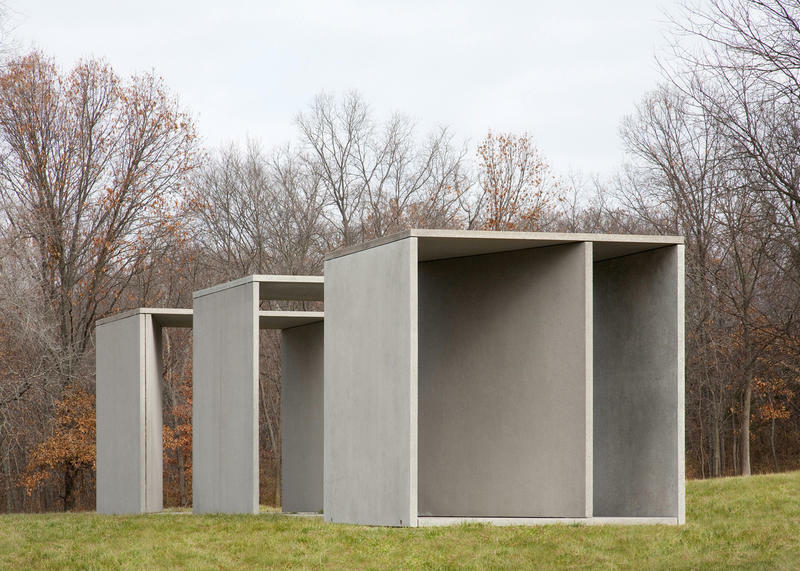 Famed minimalist artist Donald Judd’s sculpture at the Laumeier Sculpture Garden just got a $200,000 facelift. “People see things outside and think it’s just like a car sitting outside on their driveway, but a car sitting outside will show a lot of damage and weather wearing and so on and so forth,” said Executive Director Marilu Knode. When your childhood’s spent roller blading, building forts and doing your homework among the rubble that would become St. Louis’ iconic City Museum, where else are you going to work when you grow up? Max and Daisy Cassilly were in their early elementary-school years when their parents, Bob and Gail, began transforming the dilapidated 11-story former International Shoe building on Washington Avenue in 1995. The family practically lived there for two years.